It’s that time of year again! Looking for a dip to bring to the big game party you’re going to? 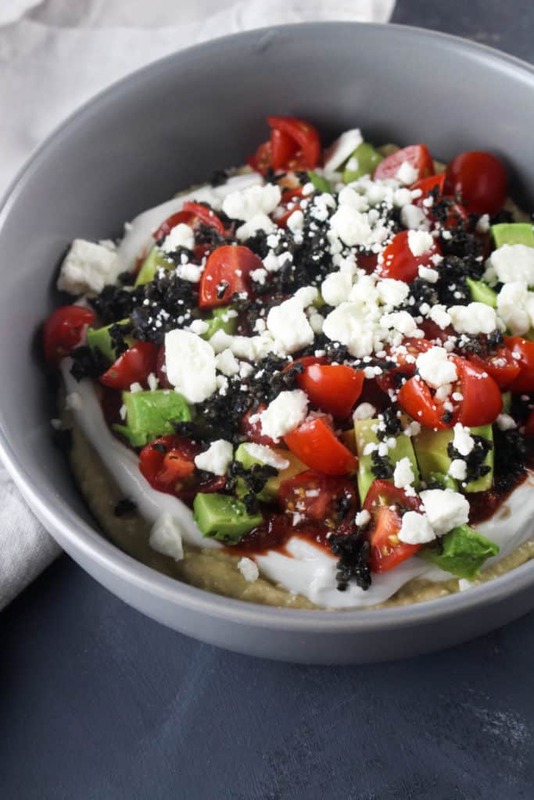 Look no further than this Mediterrenean Seven Layer Dip! It’s got all sorts of awesome flavors that I know will be a crowd pleaser! 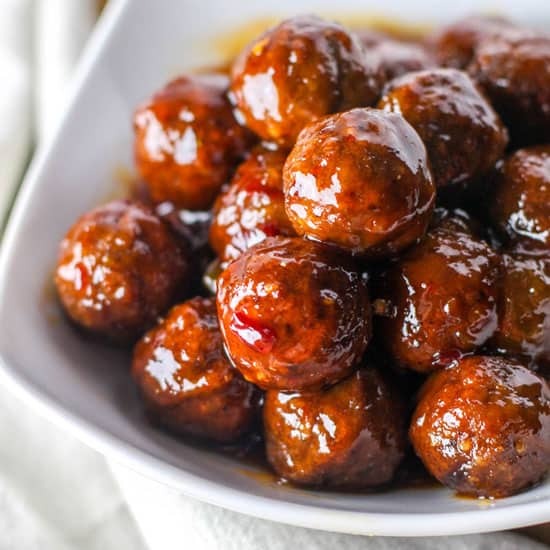 Be sure to keep scrolling to see what 60+ other food bloggers threw together for their appetizers! 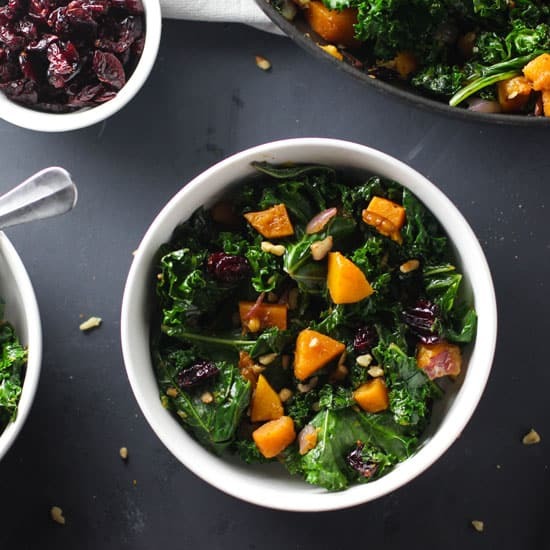 There’s no doubt that I’m sure you’ll be able to pick your entire menu out from these great dishes! I mean just look at the ingredients. I’d eat them all individually any day so throwing them together makes it an addicting dip. I didn’t include any measurements in the recipe just the ingredients. 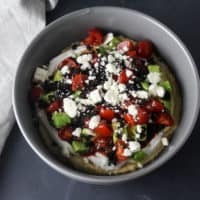 I layered them in the way that they’re listed, but the great thing about seven layer dip is that it can be so personalized! If you’re looking for an idea of what I put in the bowl, it was about 8 oz of hummus, a personal sized container of Greek yogurt, and 2 tablespoons of sambal oelek. That was definitely spicy in some bites so if you don’t love spice, maybe cut back or cut it out completely! If you have harissa, definitely use that! Being from a small town, our grocery stores don’t have very many options so I opted for Sambal Oelek for the same kick that harissa would give. I love that the spice breaks up the creaminess and tartness from the yogurt. I know avocados aren’t technically Mediterranean, but who can turn down an avocado??! They also give an awesome creaminess to the dish. It’s a healthy fat so it’s a good addition to the Mediterranean diet since there isn’t any olive oil… that works, right?! 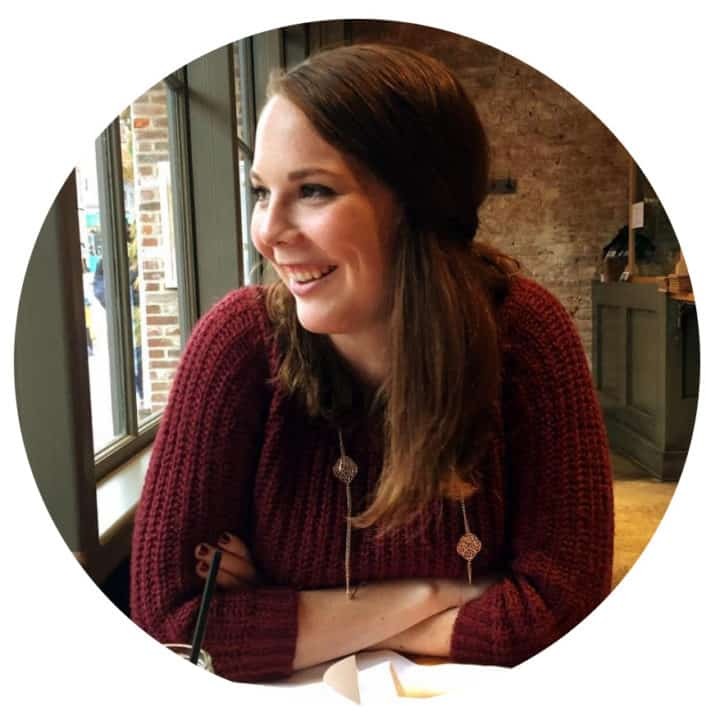 Give these bloggers some love! 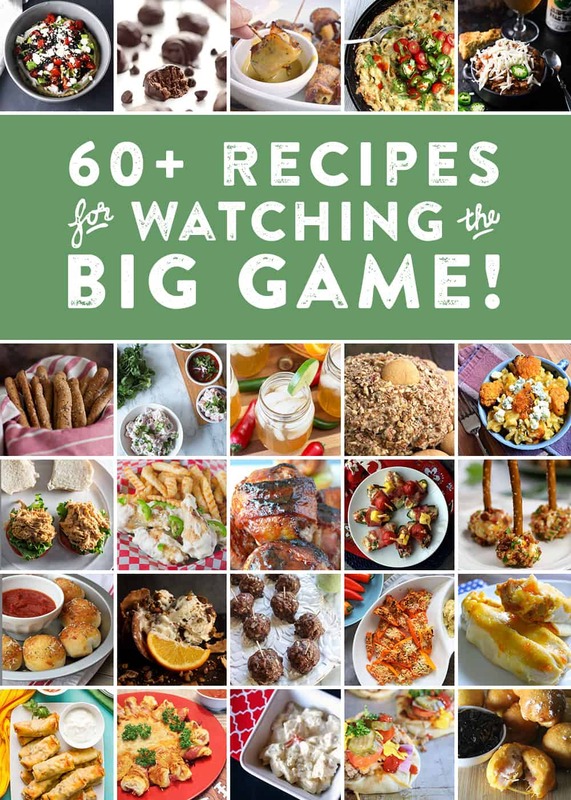 Stop by and check out all the other recipes that we’ve done for this football season! 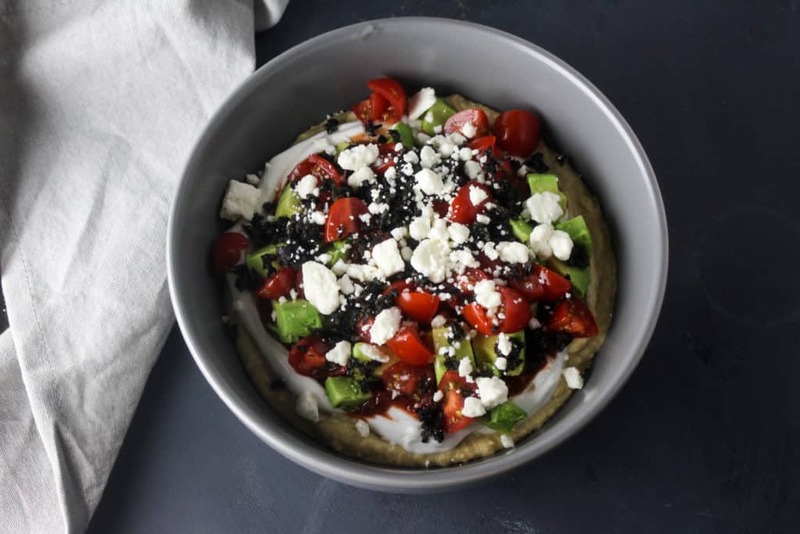 This Mediterranean Seven Layer Dip is an easy and flavorful new take on the classic! 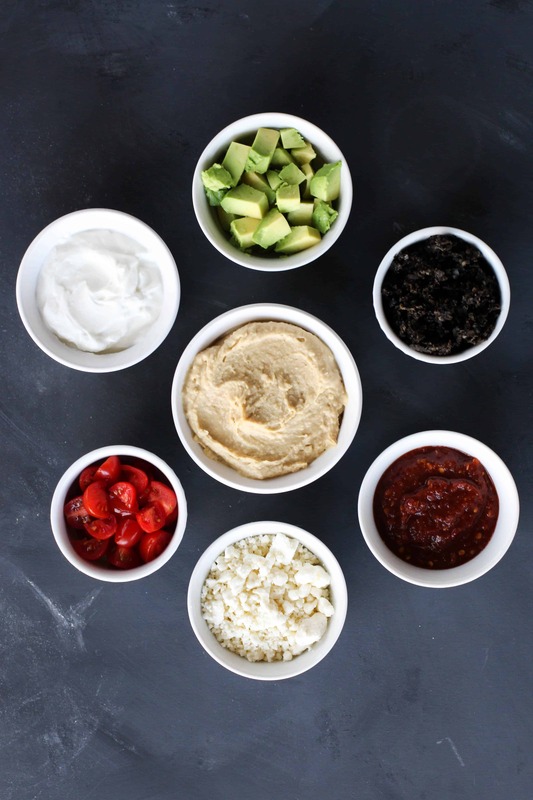 Layer first seven ingredients in a serving platter and serve with pita chips! Enjoy!